If you have ever thought about taking a trip to Bradford, then you may be interested in finding out all of the best spooky spots to visit! Paper Hall was built back in 1643 and it is believed to be the oldest surviving building in Bradford city centre. It wasn’t always known as Paper Hall, and there are various different theories surrounding the name, but the most likely is that it is a corruption of the original name ‘Papists Hall’ since the original owners were Roman Catholic at a time when Popish superstition was suppressed throughout Britain. As you might expect with such an old building, it is also reportedly haunted. In fact, it commonly features on lists of the most haunted places in Bradford. One of the most striking reports of paranormal activity to come out of Paper Hall tells of a pair of large staring eyes belonging to a very ghastly face often seen looking out of the windows, startling those passing by! Residents have also reported the sound of someone going up and down the staircase in the dead of night, but upon investigation, there is nobody around. The footfalls seem to have a very distinct pattern with a distinct tap which has led people to believe that the spirit in question is an old Admiral with a peg leg who was apparently murdered in the building some time ago! Bradford may appear a little worn and shabby today, but believe it or not, in its heyday Bradford was a wealthy city which served as the very heart of the textiles industry in Britain! 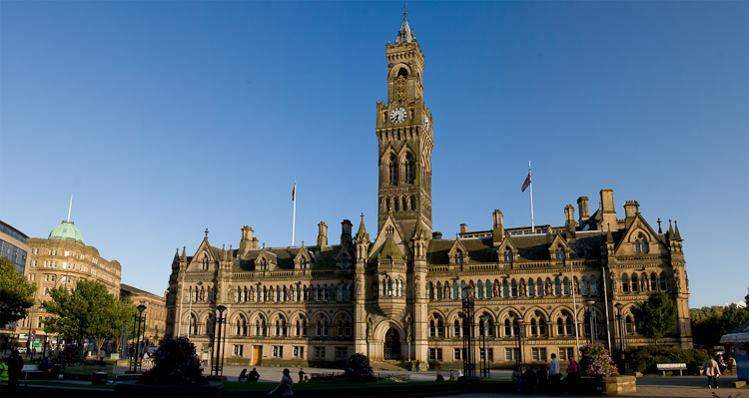 It is still possible to see evidence of the city’s former grandeur when you look at Bradford City Hall. This is a fantastic example of Victorian architecture which has been very well preserved and is now a Grade 1 listed building. City Hall was first built back in 1873 and for several decades the cellar of the building served as the police cells for the local authorities. Local legends speak of a prisoner named Charlie who once occupied those cells before being executed for his crimes and it is said to be his restless soul which now haunts City Hall as he seeks his revenge for the ill treatment at the hands of police. Staff do not like working in the basement and the first to arrive each day immediately turn on all the lights to drive out any menacing presence that lingers there. There have been instances of poltergeist activity here and there over the years and it is fairly common for staff to hear the sounds of a full court in session despite the fact that it has been well over 20 years since the courtroom has been used! Grafton street may look like any ordinary residential area, but in 1926 it was the site of a widespread panic caused by paranormal activity. At the time, the city was in the grip of rumours that ‘Spring-Heeled Jack’ was terrorising residents. For those unfamiliar with the legend, Spring-Heeled Jack was an entity sighted all over the UK starting in 1837. He was often described as a tall man with clawed hands and fiery red eyes who dressed in an oilskin coat. When spotted following attack Spring-Heeled Jack would apparently escape by leaping over walls and over the rooftops. However, while the entity that appeared in Grafton Street had a similar escape route, it did not fit the standard description of Spring-Heeled Jack, instead, what appeared to terrified residents was something shrouded in white. The entity came to be known as the ‘Grafton Street Freak’ and the disturbances continued for several weeks. No culprit was ever caught and to this day there is some debate surrounding whether or not this was truly paranormal, or some prankster taking advantage of the unease created from the Spring-Heeled Jack rumours! 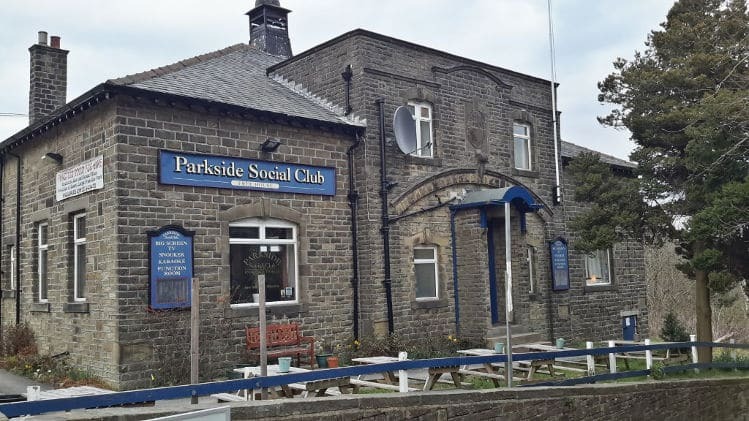 Parkside Social Club may not look like much, but it is actually one of the most haunted places in Bradford. In the past, the building has served as an institute and a school room and this is where the resident spooks seem to come from. One of the most common sightings is of a young girl in Victorian style clothing who is often seen and heard by staff and customers alike. She is said to run around upstairs and her footsteps are frequently heard on the stairs. The girl has also been spotted in the pool room and many customers are too afraid to go into the room. However, one of the staff says that her 10 year old daughter is anything but scared! During a recent party at the club she decided to leave some balloons in the pool room for the little ghost girl to play with! The history of Bolling Hall dates all the way back to 1086 and it played an important role in the English Civil War, so it really is not at all surprising that it has a high number of reports of paranormal activity. Over the years as many as twenty full body apparitions have been reported in the mansion! 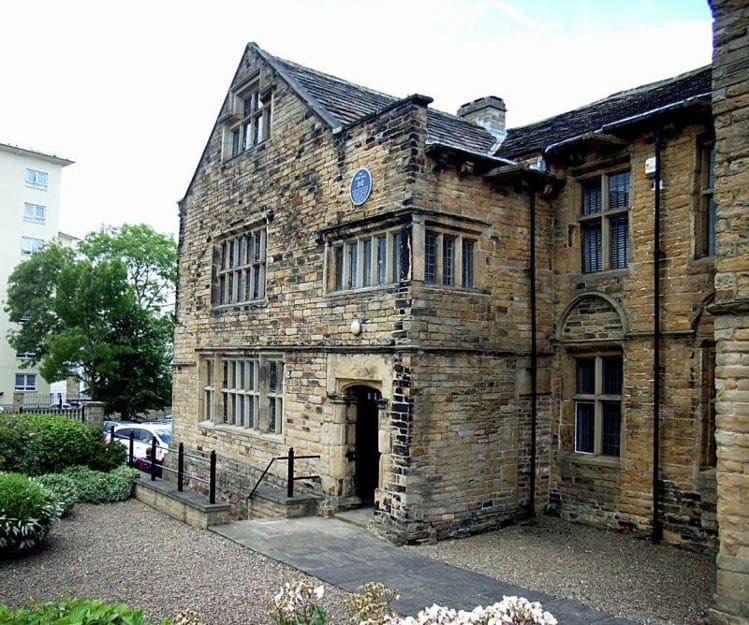 The current building that stands as Bolling hall is the oldest house in Bradford and it has served as a family home for more than 5 centuries starting in 1316 when the hall was taken over by William Bolling. The Bollings owned the estate until some time in the 15th century when the Tempest family took over. The property changed hands once again in 1649 after which it change hands with some frequency, even being let out as apartments at one time. In 1912 it was presented to Bradford city council who opened it up as a period house and museum – the same purpose that it still serves today. If we look back to the Civil War, the Royalists took the town of Bradford in 1643, putting all inhabitants to the sword. It was actually during this time that the first paranormal occurrence was reported at Bolling Hall” One night the Royalist Commander, the Earl of Newcastle said he was woken during the night by a ghostly woman tugging on his bed sheets. She apparently warned him to ‘pity poor Bradford’. This was enough to change his plans and instead of executing all of the town’s residents only 10 were put to death. It seems that the Earl did indeed take pity on the people of Bradford! Over the years, there have been growing reports of paranormal disturbances and the building has even featured on popular paranormal television shows such as #Most Haunted’. There have been 20 recorded sightings of full apparitions and a child’s crib has been caught on film rocking back and forth on its own without anyone touching it. A great deal of the paranormal reports seem to centre on the Blue Room where people get the sensation of being watched and where many reports of a male apparition in a long black coat have been made. He is said to be particularly menacing. Another of the commonly sighted apparitions is a lady in white who is seen floating in mid air and then disappearing into the fireplace. Throughout the entire building, staff and visitors report hearing doors opening and closing, footsteps, disembodied voices and heavy breathing from empty rooms. This is without a doubt one of the most haunted places in Bradford! If you are in search of accommodation with a resident Bradford ghost, then you may want to go ahead and check out the Midland Hotel. 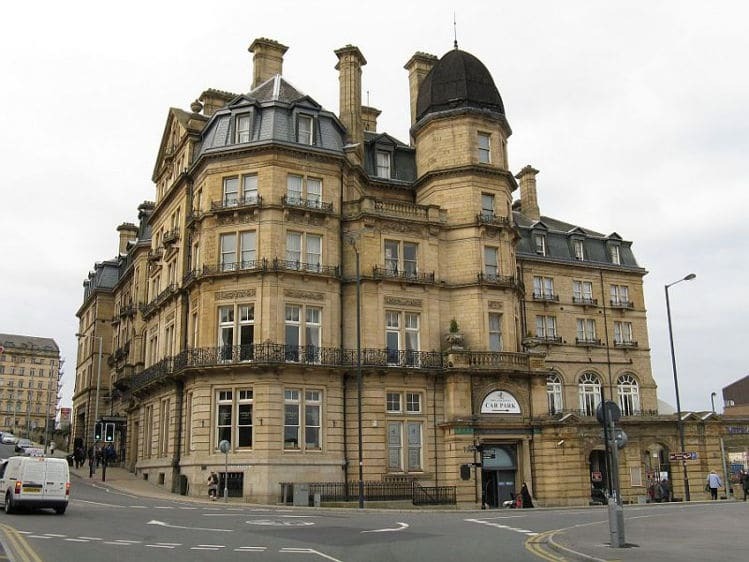 This is a very classic example of a Victorian era railway hotel. It was built back in 1890 next to Forster Square Station and it remains popular to this day. One of the hotel’s claims to fame is that famous Thespian Sir Henry Irving and his manager Bram Stoker stayed there during Irving’s turn as archbishop Lord Tennyson’s ‘Beckett’ at the Theatre Royal. It was there that he famously collapsed on stage after suffering a stroke and was rushed to the lobby of the Midland Hotel where he passed away. It is no surprise then, that there are claims that Irving is the ghost who haunts the hotel today. In fact, his apparition has been spotted in the room in which he slept the night before that final performance. He is said to appear fairly incorporeal surrounded by hazy smoke, but still recognisable.